Faith Chapel is a non-denominational Bible teaching church. If you haven't been out to Shen Bible Camp recently, you are in for a big surprise. 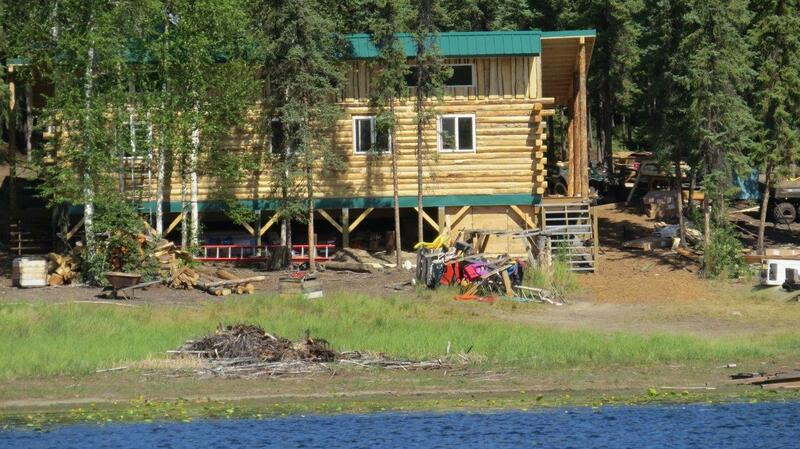 The last four summers we partnered with Wade Nolan and Wild Alaska Missions to rebuild Shen Bible Camp! Most of the cabins that made up the original Shen Bible Camp were salvaged from a used line camp and relocated to 4-Mile Lake back in the early 80's. Maintenance had been performed on the old structures over the years by many volunteers and missionary groups, but they were slowly losing the battle with nature. When Wade Nolan approached Faith Chapel with the vision of updating the buildings, making them more comfortable and useable year-round, we knew that the Lord was blessing the ministry in an amazing way. In 2015, we built a new 24'x40' Lodge to replace the old 16'x30' cookshack. In 2016 we built two new 16'x20' dormitories and a 10'x20' duplex. One dormitory was built for the boys' side of camp and the other was built for the girls' side. The duplex building was built for counselor families with small children, retired counselors, couples, or any other special camp helpers. 2017 ended with two more dormitories, one for each side. The construction ended the summer of 2018 with a beautiful chapel. This winter Faith Chapel had it first annual Faith Family Fiesta where families from the area came out to Four Mile Lake, sled, played on the frozen lake, played board games, and shared lunch. The lodge was wonderfully warm, and the day was a tradition we hope to repeat. 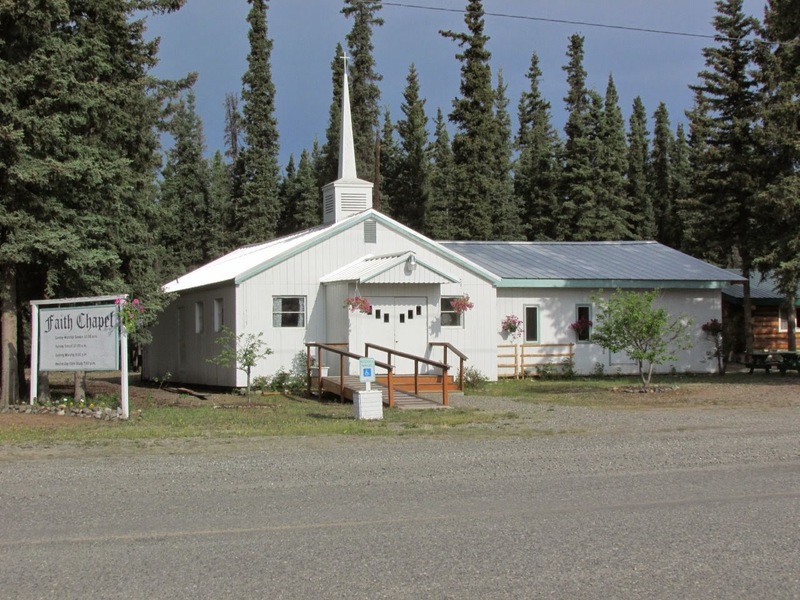 Faith Chapel's hope and prayer is that the beautiful new Shen Bible Camp will be utilized for retreats and functions year round, and we thank Wild Alaska Missions for all their hard work and support in creating a wonderful place to worship God and teach others of His love. TIN Fund: Assisting "Those In Need" when times are tough. Supporting several missionary families in Alaska and throughout the world. Shen Bible Camp Under Construction! We are pleased to announce that we are partnering with Wade Nolan and Wild Alaska Missions http://www.wildalaskamissions.com/shenbiblecamp.html to replace the Cookshack this summer. Most of the cabins that make up Shen Bible Camp were converted from a used line camp when Shen was first located at Four Mile Lake on Alaska's Taylor Highway back in the 80's. Maintenance has been performed on the old structure over the years but it is slowly losing the battle with nature. The size of the Cookshack has also made for many cramped meals and Bible Studies. 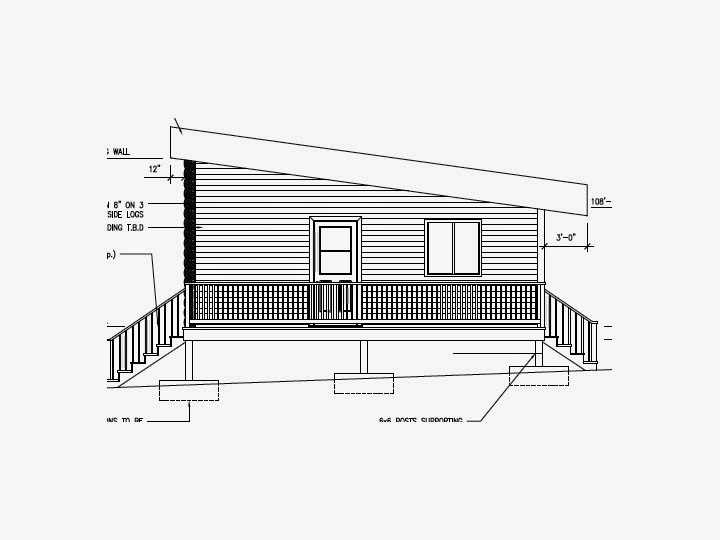 The plan is to increase the size of the Cookshack from 16' x 32' to 24' x 40'. 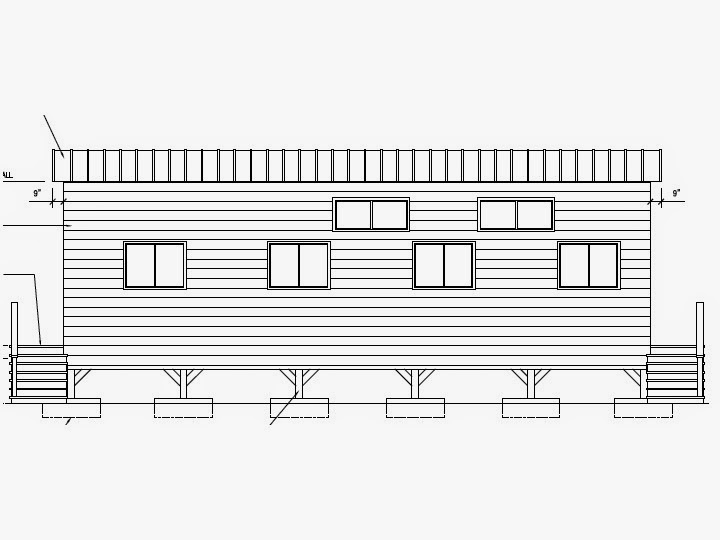 The original 2x4 and plywood framed building will be replaced with a safe and sturdy "Lodge"!